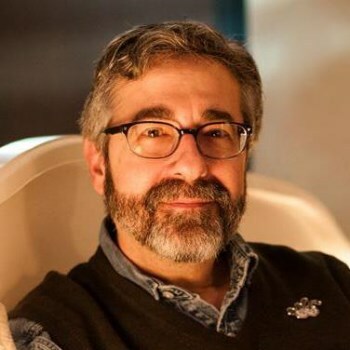 Legendary game designer Warren Spector, whose work runs the gamut from Deus Ex to Epic Mickey, is none too happy about the resurrection of Wolfenstein. In case you missed it, Bethesda revealed this morning that a new Wolfenstein game is on the way that will take the franchise somewhere a little different: the 1960s of an alternate universe in which the Nazis won the Second World War (but that nonetheless still has Hendrix). There was little to the announcement beyond "Hey, we're doing this" and some red-eyed Nazi death robots, so while the idea is interesting, there's not nearly enough information at this stage to judge beyond that. But one man is judging it anyway, and he's judging it rather harshly. "Did the world really need another Wolfenstein game? Did we need a generically dark, monochromatic, FPS, kill-the-Nazi-giant-robot game?" famed designer Warren Spector asked on his Facebook page. And then he answered, "Uh. No. The world did not. I am so tired of stuff like this." "Oh, and could we all just agree we'll never use the generic gravelly-whisper trailer voice guy ever again?" he continued. "And one more thing: Please stop using Jimi Hendrix to promote your adolescent male power fantasies. Thank you. I'm done." It's not difficult to see a hint of bitterness in Spector's response, presumably fueled by the utter failure of his much-hyped Epic Mickey endeavor to catch fire with gamers. He comes off a little better in responses to comments, where he clarified his complaints about the state of the industry and "the difficulty of getting new stuff green lit - new IP, new game styles and so on." "Part of my frustration here is - well, lack of sleep leading to crankiness! But part of it is frustration not so much with Wolfenstein but what it represents to me. Like it it not, if you're playing console games - core games - you're probably playing a Shooter, a Shooter-like Action-RPG or a sports game. That's about all publishers offer us, now more than ever," he wrote. "When I see people getting all excited about Another Shooter, I fear for our future. A lot of comic book publishers probably said, 'They like that - give 'em more,' and a lot of readers probably said, 'Thank you very much.' And now comics are as marginalized as they ever were (except as inspiration for crappy movies). That's the sense in which we don't need 'another Shooter' or a reboot of Wolfenstein - the publishers aren't offering us much else and normal humans aren't yet impacted by the more creatively diverse indie scene." In response to another user who claimed he doesn't see the difference between the Call of Duty and Wolfenstein franchises - he likes them both - Spector was even more pointed. "The fact that you don't see a difference between Wolfenstein and Call of Duty is EXACTLY the point I was trying to make," he wrote. "Remaking a classic is okay - not great, but okay. The fact that we get shooter after undifferentiated shooter is just sad." It's an awfully strong response and it doesn't paint Spector in the most positive light ever, but he does make some valid points, and not just about that song. The videogame industry is dominated by a few narrowly-defined genres and developers are far more likely to be punished than rewarded for taking creative chances. Even so, it's hard to blame major game publishers for going with what works, and it's also awfully early to be dumping on Wolfenstein, which Spector allows - to an extent. "It's totally possible the new Wolfenstein game will do something we've never seen before. Maybe it will even revolutionize the FPS genre," he wrote. "But I didn't see a hint of that in the material released so far."